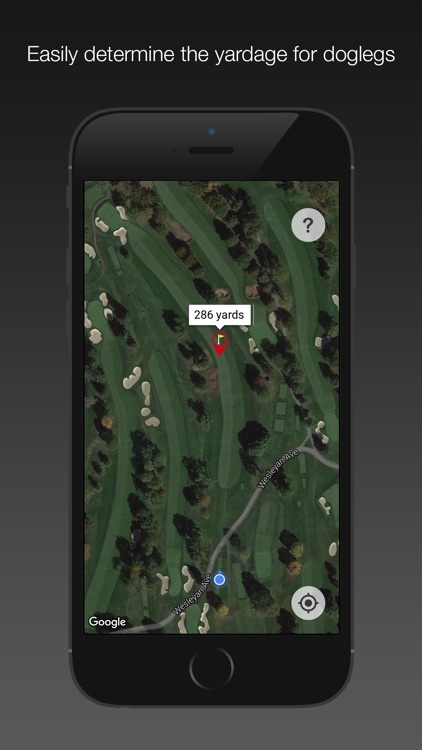 Accurately determine the yardage to anywhere on the course with a single tap. 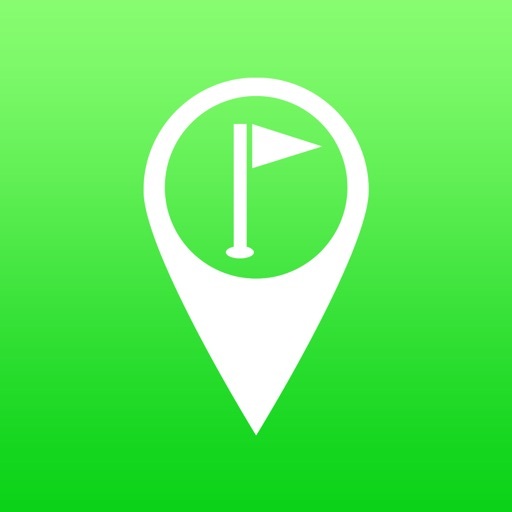 Pocket Caddy intuitively uses GPS and satellite images to show you the exact yardage. 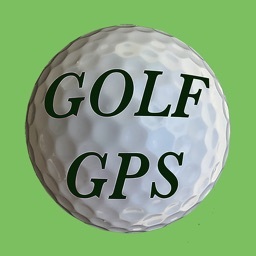 You'll shave strokes off your score each and every round! 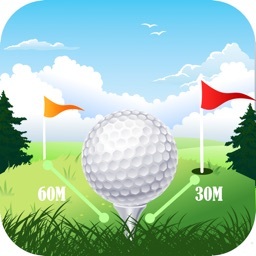 ▶ Determine the distance to the hole. Simply tap on the hole to drop the marker. 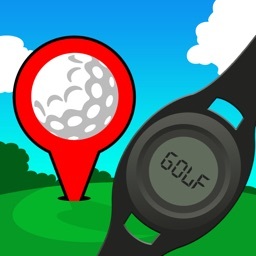 The distance will then display and automatically update based on your current location. 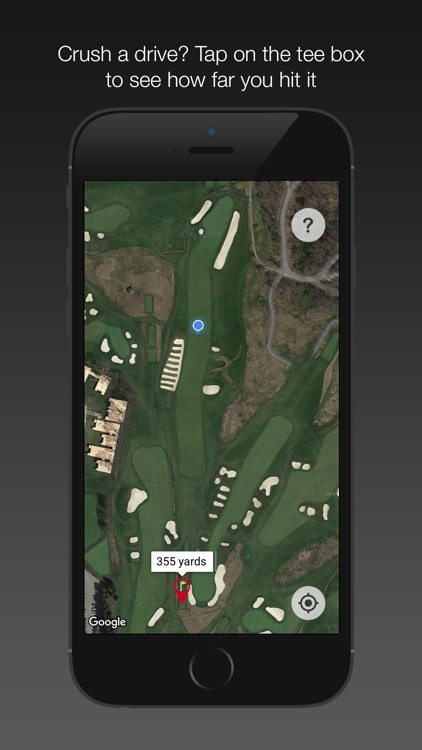 ▶ See how far you crushed that drive. 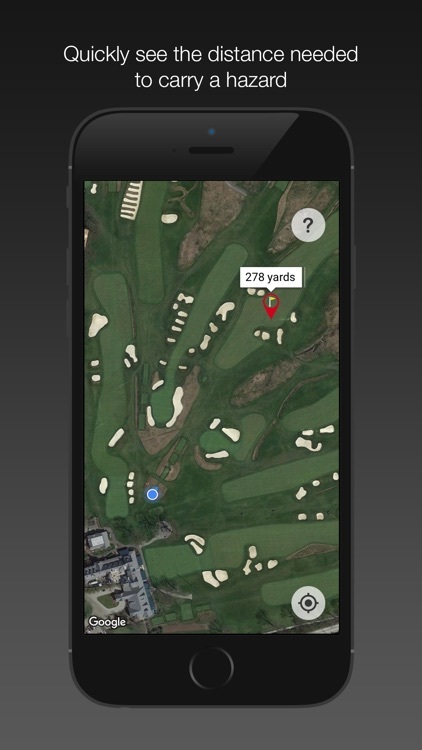 When you get to your ball, tap on the tee box to drop a marker to see how far you hit it. ▶ Take the guess work out of carrying a hazard or laying up. Just drop a marker on the other side of the water or bunker to see exactly how far you need to carry your shot. ▶ Play doglegs like a pro. 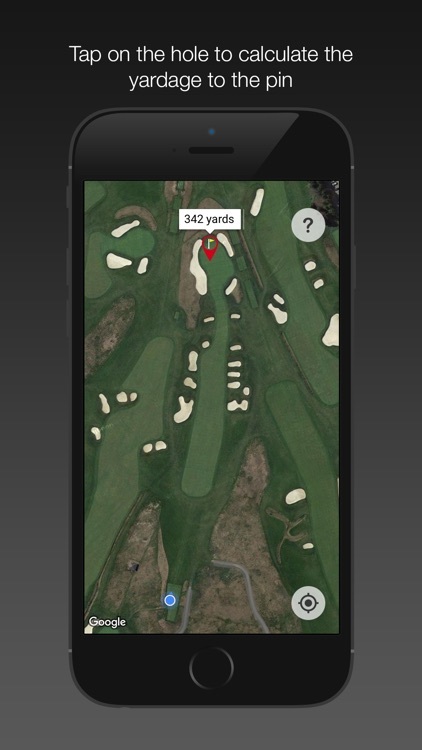 Quickly see the distance you need to hit it for a great second shot.